In western North America small, dark Bembidion (Plataphus) are common on gravel river shores. Most of these are called Bembidion curtulatum. They are the smallest members of subgenus Plataphus (sensu Lindroth) in North America, at about 3.5 mm long. As I noted in a previous post, DNA sequences of 28S ribosomal DNA suggests that “B. curtulatum” may be as many as 3 or more species. 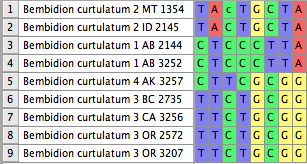 This week we got some more sequence data, and it looks as if there may be at least 4 species. 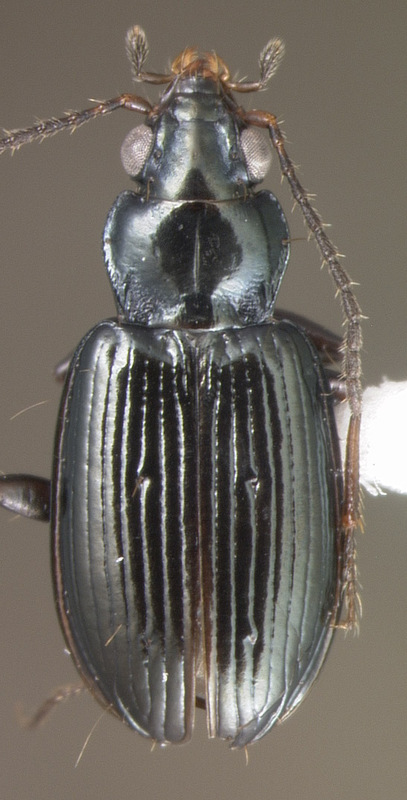 In my experience, it is rare for specimens within one Bembidion species to differ by more than 2 bases in this gene, which suggests that each of these forms is likely a different species. We would be more confident if we were to find these forms together in the same habitat, and especially if we found some genetically unlinked characters (DNA sequences or structural traits) that also differ between the forms. We’ll be looking at other genes soon, and looking for places where the forms might live together (in sympatry), but for the moment we can at least look to see if there are morphological characters by which they differ. I looked at the elytral microsculpture of these specimens today, and here are the results. This form has relatively reddish elytra, and the microsculpture is fairly transverse – that is, the sculpticells are transversely elongate. This is especially evident in specimen 1354. This and the remaining forms have dark elytra. The Alberta form has less transverse microsculpture; the sculpticells are close to isodiametric, being just slightly transverse. This specimen has microsculpture similar to that of the AB form, but is slightly more transverse. This form has microsculpture that is more transverse than the Alberta form; specimens range from being like the Alaska form to being almost as transverse as the MT-ID form. Thus, it does look as if there is a correlation between the sequence data and the microsculpture and elytral color, but the microsculpture differences are subtle. It will be interesting to see if the pattern is consistent over additional specimens. I’ll also take a look at the male genitalia to see if they differ. 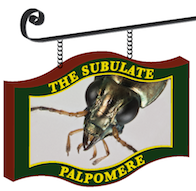 This entry was posted in Revising Bembidiina, Taxonomic Process and tagged Bembidion, DNA taxonomy, Plataphus. Bookmark the permalink.